Epson has unveiled its third generation smartglasses at MWC 2016, aimed at both business and consumers. Yes, Epson is persevering with smartglasses even in the face of flat demand and interest, and its latest offering beefs up the power and weighs in 20% lighter than its predecessor. The Moverio BT-300 uses an Intel Atom chipset and has Android 5.1 on board, which is viewed through an OLED display. What's more, there's now a 5MP camera onboard. "The Epson Moverio BT-300 is a major leap forward in mobile AR smart eyewear, with its comfortable, lightweight form factor and amazing new display engine – and at a price comparable to smartphones," said Eric Mizufuka, product manager, New Ventures for Epson America. "The transition from LCD backlit projection to Si-OLED enables higher contrast levels, a wider color gamut and true display transparency – this is a game-changing technology that will accelerate the adoption of AR glasses." While consumer demand for smartglasses has been, frankly, non-existent, Mizufuka did reveal that Epson has seen interest in logistics, healthcare and, most excitingly, remote drone photography, by giving wearers a bird's eye view. Epson's dogged enthusiasm for the smartglasses market may pay off. 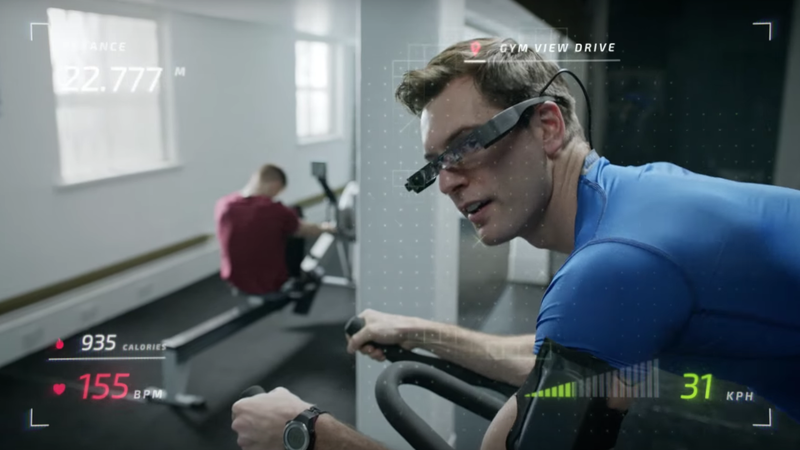 A recent report by Juniper stated that connected eyewear was set to take off in 2017, fuelled by Microsoft's HoloLens AR system, and 12 million consumer smartglasses would ship in 2020.